Meticulously designed helmet to stay connected. 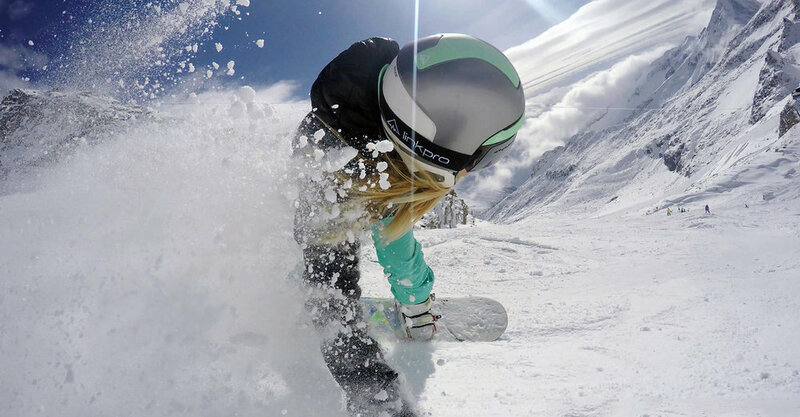 The LinkPro® Explore 1™ is a meticulously designed ski helmet that delivers much more than mere head protection. With integrated radio communications along with Bluetooth Smartphone connection and RECCO avalanche protection, users can listen to their favourite playlists, call friends to tell them where they are and even warn their group about imminent danger on an off-piste track. All of this with no wires, no time delay and gloves still on. Designed specifically for use with gloved hands, the Explore features two ergonomically designed control pads on each side of the helmet. By pressing down on the buttons, users can scroll through their music, control volume and take calls, all without being anywhere near their mobile device. To enhance the audio experience for the user, the Explore is fitted with two base drivers. These have been tweaked to produce some of the deepest base and clearest high end of any headphones on the market. The Explore features magnetically attached panels that come in an array of colours from subtle hues to head-turning brights. This allows the user to customise their helmet to suit their style. Our approach – form, fit and function. As LinkPro is a new brand and Explore 1 is its first product, we started from a clean sheet of paper. We firstly created the brand guidelines, which took account of both consumer insights and the user personas we had crafted ourselves. From these we developed a range of concepts. At Curventa we’re passionate about handmade models. Our designers create physical models before even getting into CAD. This approach gives us the freedom to explore ideas and test forms before settling on a final design. From previous projects we possess a strong working knowledge of helmet testing and regulation. This ensured that, from the very start of the project, the Explore helmet was fit for purpose, requiring minimal iterative development. We create physical models and prototypes throughout the development process. This allows us to assess and validate the design but also, through test rigs, verify that the ergonomics are relevant to the use case. For instance, we thoroughly tested that the user can operate the buttons with gloved hands. Near the end of the process, small batches are produced and assembled in-house to guarantee that the product is fit for release. The Explore project drew on all our core skills at Curventa from the initial stage of creating the brand guidelines through design development and then all the way to sourcing and liaising with manufacturing partners in the Far East. 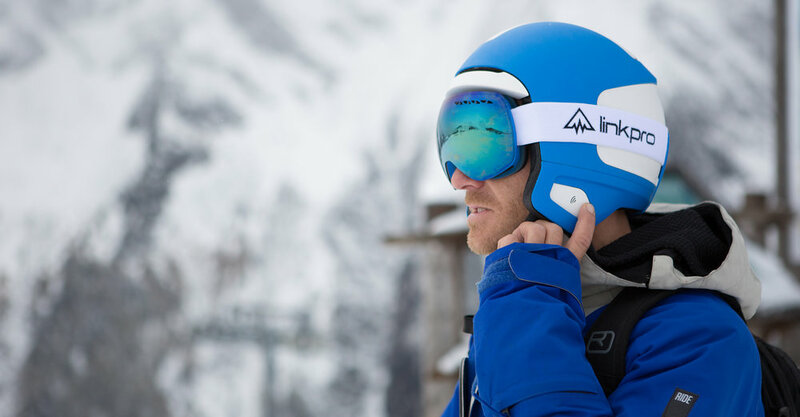 Our client, Stephen Catterson, founder of LinkPro, was passionate about his idea for a ski helmet that incorporated head protection together with on slope sound and connectivity. This passion was a real driving force behind the project and evident at every meeting we had with him. Explore 1 certainly took him (and us!) on a journey. A journey that he has since documented in a video, which can be viewed below.